The H10 Conquistador Hotel is a large, modern complex situated in the residential part of Playa de las Americas on the beachfront, 45 kilometres from Teide volcanic mountain. Around the hotel are many of the Playa de las Americas attractions, including Torviscas Market and a water park, one kilometre from the hotel. 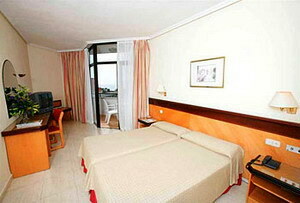 Aguilas del Teide Ecological Park is eight kilometres away. 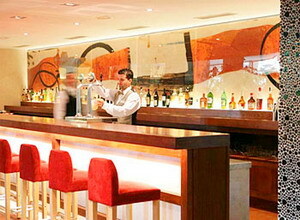 Tenerife Reina Sofia South Airport is 15 kilometres (nine miles) from the hotel. 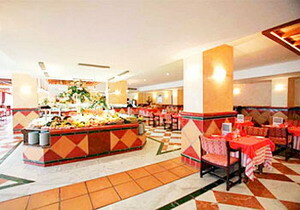 The hotel has a variety of dining venues and bars. 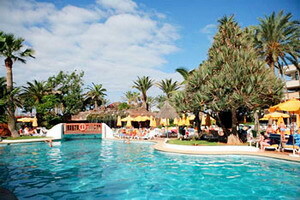 The hotel also has two large lagoon-style swimming pools, one of which has a bar situated at its centre. There is also a Thalassotherapy centre where jetted tubs, Turkish baths and steam baths are available, as well as health and beauty massage treatments. Boutiques and souvenir shops are also located onsite. There is a pool that is just for the kids, and they have their own playground area and an activity club called Miniclub Daisy that will keep them entertained. The hotel's 485 air-conditioned guestrooms have light, contemporary decor with patterned fabrics and wood furnishings including coffee tables, dressing tables and chairs. All offer satellite television, telephones and safes. The half-board room rate incorporates buffet breakfast and dinner each day.